The project is underway at Charleston Southern University! 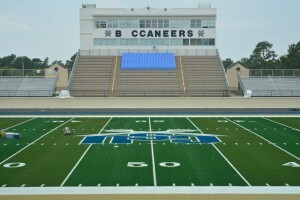 The university selected the complete APT package for the revamp of Buccaneer Field. Phase 1, going on now, is the installation of an APT Gridiron RS+52 football field. 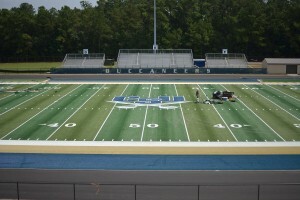 Following the field installation, Phase 2 will be the installation of a Rekortan M99 running track. 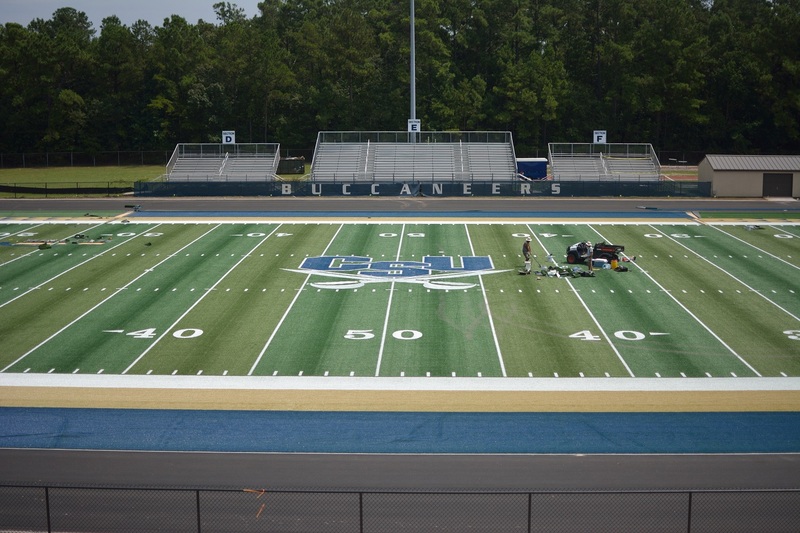 Nothing but the best for the Bucs! 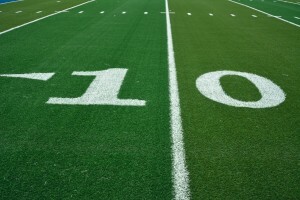 APT’s football turf has been installed at facilities such as the Philadelphia Eagles’ practice facility in 2013, Chicago Bears’ Walter Payton indoor facility, and the University of Alabama’s Hank Crisp Indoor Football Center. 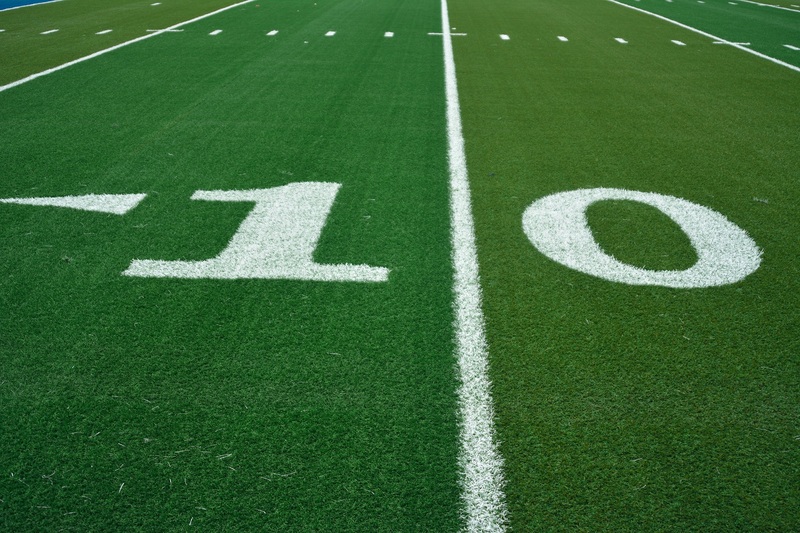 APT’s Rekortan M99 running track has been installed at several Olympic venues, Good Will Games, and has been the official surface of the Penn Relays since 1988! 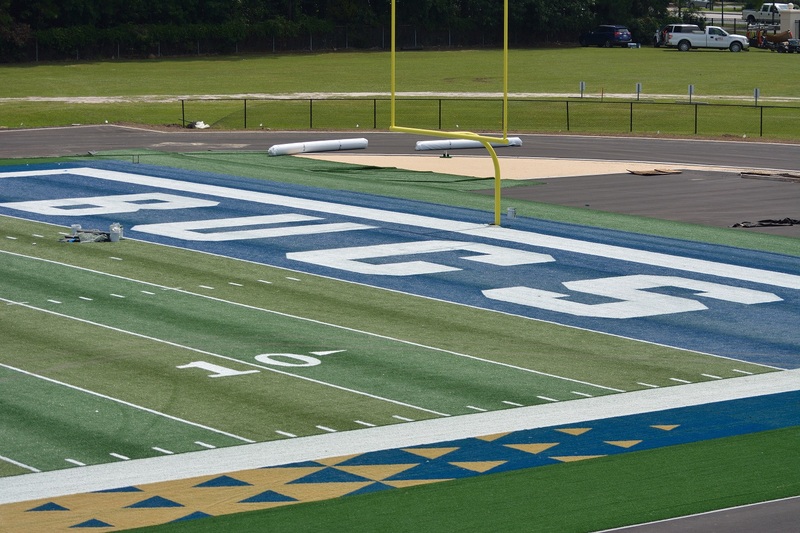 CSU head coach Jamey Chadwell said, “We chose APT for our field turf because of their stat-of-the-art technology and extensive experience. 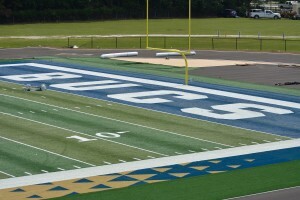 Their product will allow us to have a playing surface that is of top-notch quality with exceptional performance. 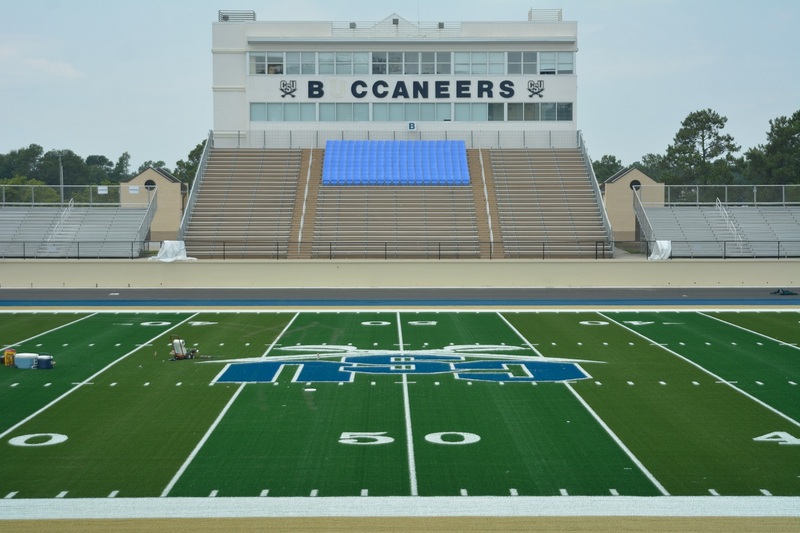 I have no doubt in my mind that we will have the best playing surface in the country going forward.” Click here to read what CSU has to say about the project. 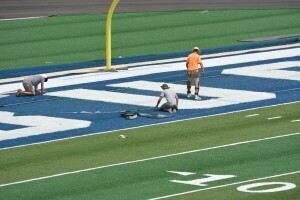 Check out the Gridiron field installation pictures below. 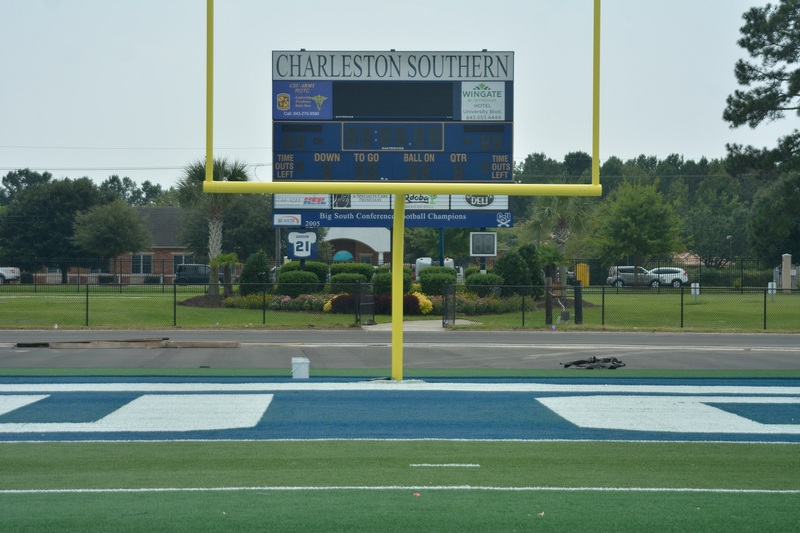 Remember to stay tuned to APT’s newsfeed and Facebook page for updates on the Rekortan M99 installation at CSU.